Are you a handy person to have around? Like to roll up your sleeves and fix things? Great! 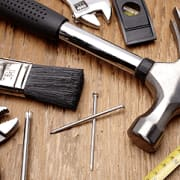 The Caldwell Public Library is seeking a volunteer to teach a monthly class on basic repair for household items. The instructor will prepare a lesson for the monthly class and be responsible for teaching people which tools should be used for specific jobs and will help participants repair basic household items. The library will provide tools and basic household items to use as examples. -responds quickly to emails and/or telephone calls. 2-3 hours per month. Dates: March 26, 6:30-8p.m. & April 30 6:30-8:00 p.m. Future dates determined. 2 month commitment required.